The Staatsschauspiel Dresden is in festive mood! We are glad to pronounce that four productions will be shown at remarkable theatre festivals in May! Two performances have been selected to the Berliner Theatertreffen 2019. Das große Heft (The Notebook), based on the novel by Ágota Kristóf under the direction of Ulrich Rasche, and Erniedrigte und Beleidigte (Humiliated and Insulted), based on the novel by Fyodor M. Dostoevsky directed by Sebastian Hartmann are two of 10 outstanding productions. 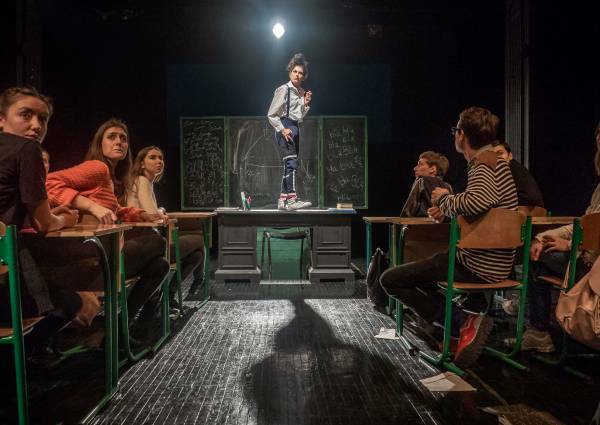 The Theatertreffen Berlin 2019 will be taking place from 3 to 19 May and will show the ten significant productions from the German-language region as well as the works of emerging artists to Berlin. The jury attended 418 productions in 65 cities in the German-language region. 744 votes were given and each jury member watched between 94 and 121 productions. A total of 39 productions was nominated and discussed. Ulrich Rasche’s interpretation of the anti-war novel Das große Heft (The Notebook) based on the French novel by the Hungarian writer Ágota Kristóf is one of them and will conclude this year’s festival edition of Berliner Theatertreffen on 20 May. The novel tells the story of two brothers who are raised by their grandmother in the countryside during the war. Far away from formal schooling, the twins teach themselves what they need to survive and become pitiless young adults who will stop at nothing. The premiere took place on 11 February 2018. For Erniedrigte und Beleidigte (Humiliated and Insulted), Sebastian Hartmann interpreted the novel by Fyodor M. Dostoevsky in a new way and used also parts of the Hamburg poetics lecture by Wolfram Lotz. Tilo Baumgärtel designed the scenery for the play: During the performance, the actors walk on 5-metre-high ladders and finally paint their own stage set live. The premiere took place on 29 March 2018. Sebastian Hartmann’s Dresden production. 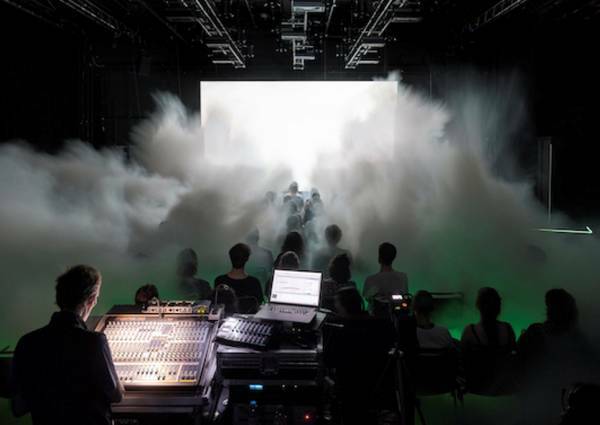 Almost programmatic in character, the production is interwoven with Wolfram Lotz’ Hamburg poetics lecture, outlining principles for a new theatre and performed in a spoken dance by Yassin Trabelsi with a fine sensitivity for sound. 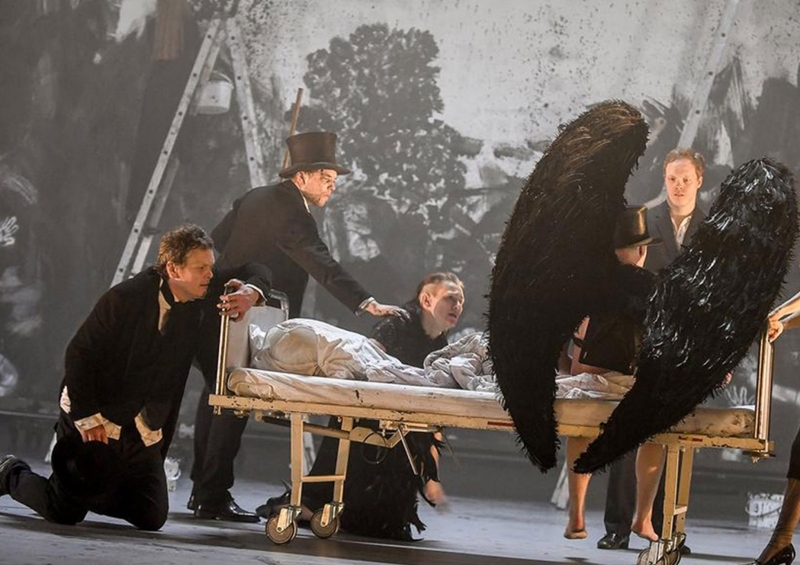 Hartmann’s staging is not a linear retelling of the novel’s plot, but rather – and this is already inherent in Dostoevsky – aspires to an ecstatic dissolution of sense and logos of the kind that can be experienced in illness, love and, in this case, in art." Also honored: The documentary theatre play Operation Kamen directed by Florian Fischer has been invited to “Radical Young, the Festival for Young Directors” at the Volkstheater München. In 2014, the director received the audience award at Fast Forward – the European festival for young stage directors and was also invited to Radical Young in 2016 and 2017. 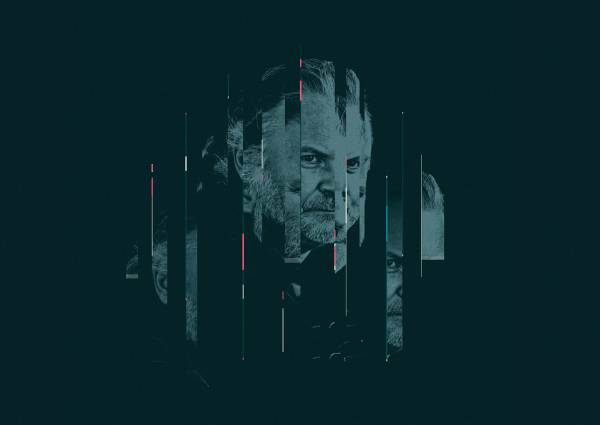 Operation Kamen is his first production at the Staatsschauspiel Dresden, created in cooperation with the Archa Theatre in Prag. The festival promotes young directors all over the world. 15 productions will be shown from 27 April to 5 May. The jury selected 15 out of 90 productions. Florian Fischer’s production tells about the events of Czechoslovak post-war history between 1948 and 1951 in a documentary theater evening. He analyses secret service strategies. How true is fiction and how did reality invent? The audience will be equipped by headphones and can listen to the history and performance. The fourth festival invitation is on 15 May: 9 Tage wach (Awake for Nine Days Straight) by Eric Stehfest and Michael J. Stephan in a version from John von Düffel will open the 23th Divadelní Flora Festival in Olomouc Czech Republic. The novel was performed for the very first time on the Dresden theatre stage by the Director Sebastian Klink. Eric grew up in Dresden and at the age of 14, he came into contact with the party drug Crystal Meth. His great-grandfathers were bomber pilots in World War II and used amphetamines to loose their fear of killing and being killed. In the basic substance, it is “the same stuff” that Eric consumes to feel invincible, to celebrate for days and, in short, “to fly”. The Staatsschauspiel Dresden under the direction of Joachim Klement is glad to be invited with four productions to three prestigiously theatre festivals in May.